1- What Resolutions and frame rates are available on this camera? 2- What is the maximum and minimum bit rate for each mode? 3- How many stops of dynamic range? 4- What is the HDMI output resolution? Curious about HDMI output and dynamic range too! Wowzers! If they make it sub $1K, and it works well, then this will take the budget high speed crown for sure! And also, does it have modes for HDMI out before compression, and also before image adjustment (RAW like). Does it have high bit depth for HDMI out and 4:2:2? So, you can use a recorder like the Black Magic Video Assistant 4K. Another question is if the recordings have high bit depth of 12-16 bit, hdr, 4:2:2, and rec2020 color gamut support? These are important for good quality you can adjust if you shoot wrong. All the specs here in pdf. The page is not on line anymore. I like the price most. And yeah, for $34k, it had better be a whole lot nicer than the E1. Yes, of course, this specs are from E1. See first post and post above. I've made this pdf from google's cache from their official page. The price there is weird indeed but i have no intention in share fake content. 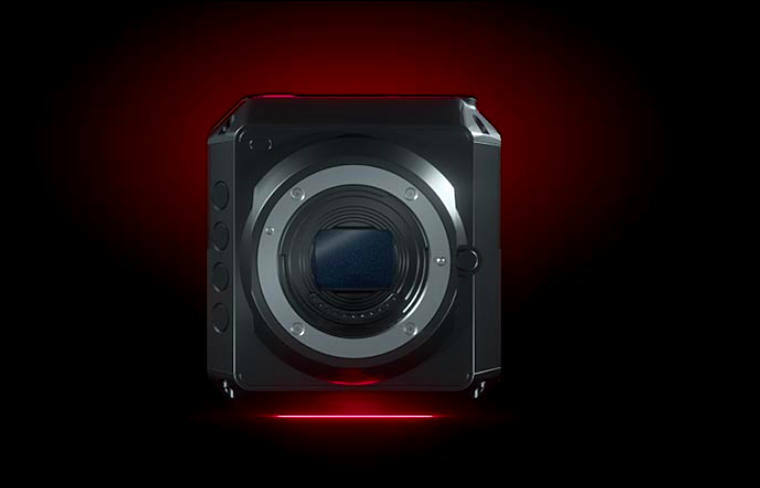 That is the price of the Z CAM™ V1 Pro Cinematic VR Camera. They probably just copy and pasted from that listing. I hope it has a 2K crop so we can use S16 glass! Hope the price is just a copy and paste, as otherwise that feels way too high! Z CAM E2 comes with embedded deep learning module. From Z cam official group on Fb. Some details: Automatic mode(AE/AWB), and grading with simple pre-calibrated LUT. I added all specs to top post. Overall it is another special premium camera, very far from E1. Many things I do not get. It seems like they also had been lost trying to please too many different people. I much more prefer in small camera ability to have best possible codec but with option for low bitrates. 1.6 gigabit?? What the hell? Maybe they're doing all-I for 120 megabits? That'd be in-line with the GH5's 400 megabit all-I at 30fps. Given that the GH5 looks great doing 150 megabit for 4kp30, it would be great if the Z-Cam folks could give a 600 megabit ipb mode instead. I suppose it's possible that recording all-I is a hardware limitation - I could imagine the CPU overhead and energy/heat requirements of writing out a bunch of still images being substantially less than trying to compute interframe differences of 120 8 megapixel images per second. Still... that's a lot of space. I'm sure I'd end up re-compressing everything for long-term storage. E2 has HDMI and SDI adapter but E2 is emphasising the ethernet port. Dispite of the latency entroduced by encoding an decoding, IP based network will bring in a lot of benefits. For example: If you need to deploy several cameras or even install several cameras somewhere a switch with several ethernet cable simply solves the problem. Previously because of 8bit encoding professionals complain about the quality loss and here E2 comes with 10bit HEVC encoding which can deliver broadcast level image quality. Z CAM will provide free software to do multiple camera control and live switch for live streaming to FB/YT or other rtsp servers. E2 has no display in body because of size but it can direct connect your iPhone/iPad to preview and do setttings. UI can be more convenient and you don't need to carry another screen any more if you are doing some mobile tasks. You can leverige your smartphone's 4G network to do live stream. One button, easy! E2 has a very powerful Deep Learning engine which supports caffe. Z CAM will open the compiling environment to public to download their own applications. Combining with Z CAM's mature SDK, you can create a lot of interesting applicatons. We are going to show the capability of this part soon. E2 has various input/output ports to control different devices which finally aims to be automatic simple task control. For example, controlling gimbal remotely or automatically. Customizable LUT table and curve in camera. We can enable user to create different kinds of color tweaks to replace our original one. Your camera, your taste. Multiple camera sync. This what we are good at. We may enable a more friendly API layer in the future to make people control several cameras in a easier way. Global Shutter/Rolling Shutter. We will have a global shutter version shortly to help those who need Globla shutter in their application. Global shutter will have less dynamic range but sometimes it's needed. Then we make one. It has very powerful CPU and GPU so we have a lot of heavy but state of art algorithms to be added into the camera step by step. Dual Arm A73 and Dual A53 inside. One of the most powerful mobile GPU inside as well.